Taylor of Old Bond Street Fine/Coarse Teeth Medium Length (15cm). Medium length (15cm) comb in imitation tortoise shell. 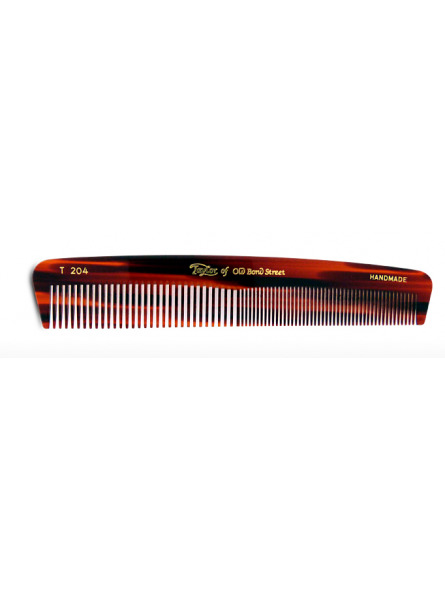 This comb is perfect for styling normal to fine textured hair. It is perfect for those gentlemen who like to keep their hair in pristine condition. It features both fine and course teeth making it suitable for most hair types. It is of excellent quality and makes a great gift for the most demanding gentleman.